Based out Calgary, Alberta Balance Bikes is a certified dealer of Strider Balance Bikes and accessories. 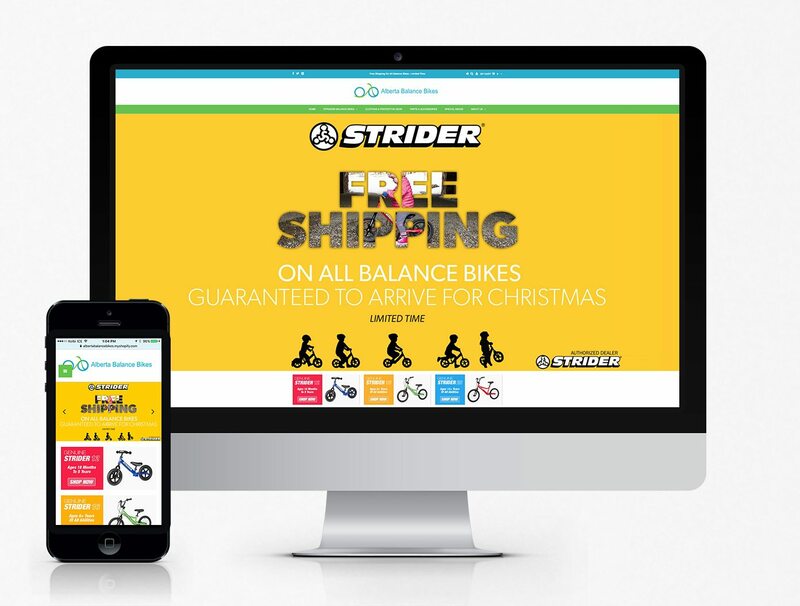 Strider Balance Bikes are a specialty bike brand designed to teach children to ride bikes at an earlier age. Alberta Balance Bikes needed a new e-commerce platform for their growing business. One that could provide better navigation, improved product display as well as providing them with an in person point-of-sale option. 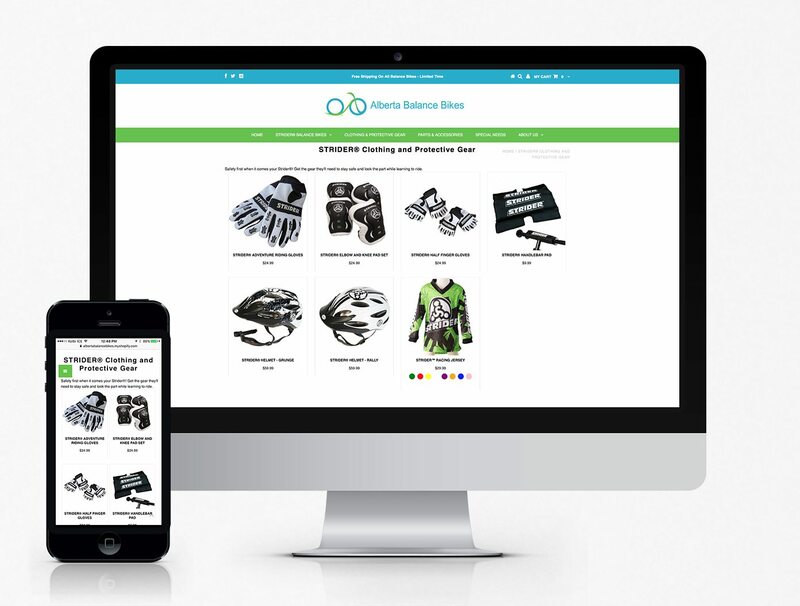 The website was built on Shopify to provide all the options needed.